Athletes are at their best in the offseason. Let’s celebrate their antics. Disappointed, but classy. A great gesture to the better team. 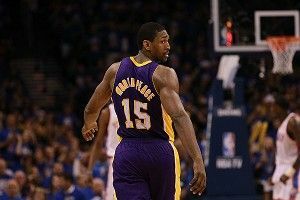 One would assume Metta would take a little time to get out of his funk, but that would be far from the truth. 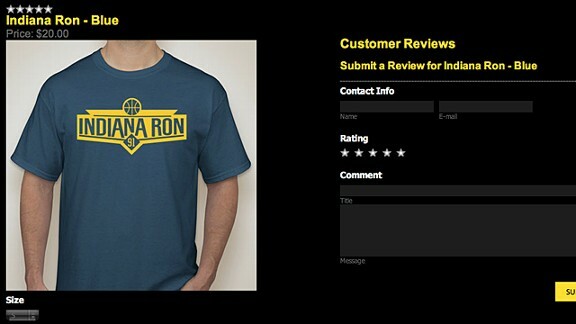 Lest we forget, the NBA season is Ron-Ron’s offseason. The period of time not playing professional basketball is his true time to shine. I’m also doing my comedy tour again this year…. If yal liked my last comedy tour tell a friend and don’t miss it… More juicy this year!! After a full night at Wings & Big Tingz, rapper Metta became reflective Metta and proceeded to pose the single headiest question in the history of Twitter. Is is a word?What does is mean? On May 26, however, low-key Ron was no more, as he hit the Interwebs as METTA MAN. Who is Metta Man, you ask? And then the next day, he finally lets us know how he feels about Walter McCarty. I learned more about today about memorial day than I learned in school. Never listened in history class… Only Math and Science class.. 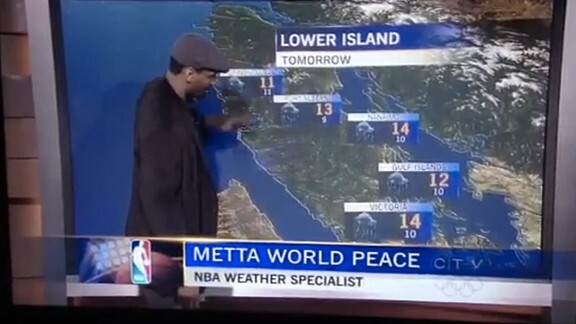 The next few days are eventful for Metta, between mixtape hype, random question-asking, and even more thoughts about Memorial Day, but June 1 gave us one of Metta’s greatest revelations to date. Sometime this summer, apparently, Metta and John are going to be on CNN for an interview. Who is John, you ask? Did yal know me and John Green are friends.. The guy who thru beer at me in Detroit?? I reached out to him years ago to settle differences! Who has the better team surrounding out of lebron,durant,pierce,Duncan,Kobe,Carmelo and rose??? After a series of NBA tweets, though, it’s becoming apparent that he misses his old life. Sure, mixtapes and hanging out are fun, but they’re still not basketball. 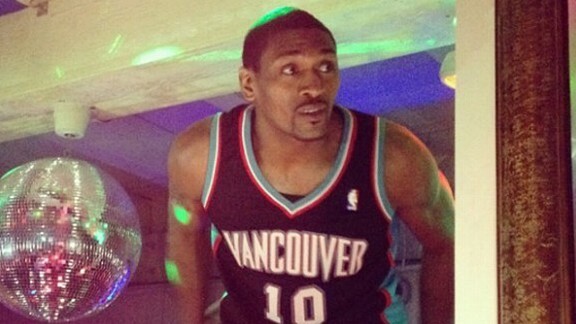 So, partly for business and partly to clear his head, Metta gets away from it all. VANCOUVER is pretty cool… What should I do out here? ?What’s the best food out here? And then he dropped by a local TV station and did the weather. But now, he has another title: Metta World Peace, actor on the Lifetime Network. This big news, now on World Peace’s IMDb page, alerts us to two other things. Ron has TWO OTHER FILMS IN 2012: 9 Full Moons and Waking. So Ron-Ron didn’t exactly make the trailer, but he does play a character named Jason and there is proof that he actually is in the film. (2) At some point, Jean Smart and Metta World Peace talked and he definitely asked her how Meshach Taylor was doing. And then, if all of this news about Ron wasn’t enough, he decided to extend his stay in Vancouver and do what anyone else would do on vacation: SUNDAY REGGAE NIGHT AT REPUBLIC NIGHTCLUB. In a Grizzlies jersey. Of course. 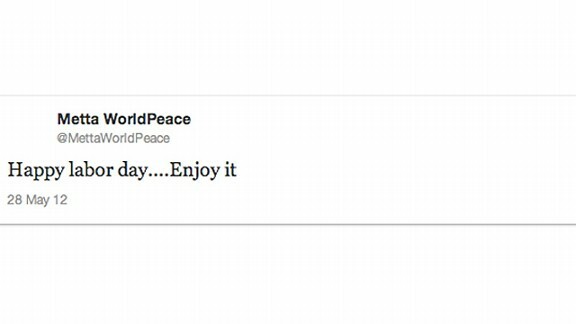 Twenty-three days of freedom in the life of Metta World Peace. I hope you read this and are reminded that you don’t live life to the fullest. Only Indiana Ron does. No one else.